The Laser Engraving Process Laser engraving is a process where the laser beam physically removes the surface of the material to expose a cavity that reveals an image at eye level. Although engraving is a subsection of laser marking, it still differs in many ways: There are three types of laser engraving: etching, deep laser engraving and laser ablation (the difference between the three is what the surface is and how much you remove). This is the most common option for people who want something personalized or customized. Not ideal for marking safety critical parts. Maximum engraving depth is 0.020″ in metals but can go as deep as 0.125″ in materials such as graphite. This is the fastest way to mark with a laser. It’s great for parts expected to experience high wear. It’s typically used to engrave serial numbers and logos, among other things. 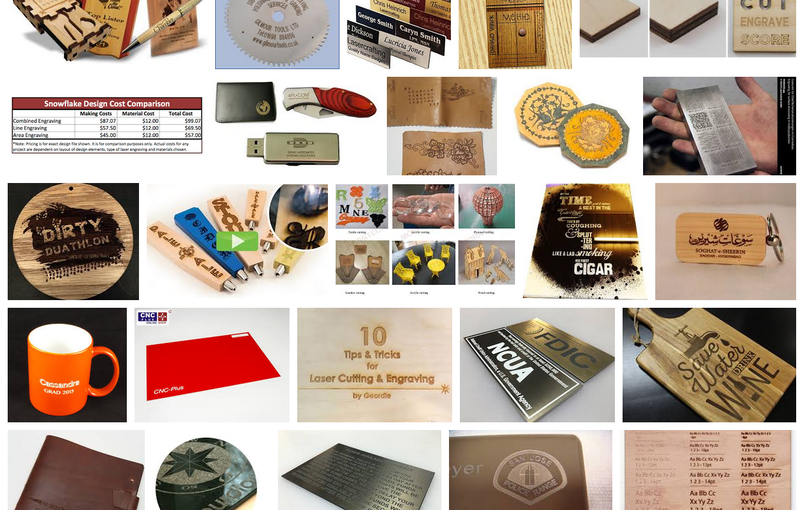 You can engrave on almost any kind of metal, plastic, wood, leather and glass surface. Another important comparison to make is how laser engraving compares to traditional engraving: It can be done on a number of materials. It is more legible than traditional engraving for small objects such as jewelry. It provides you with more font options. There is a smaller chance of product damage or deformation. Laser engraving machines are faster than traditional methods.